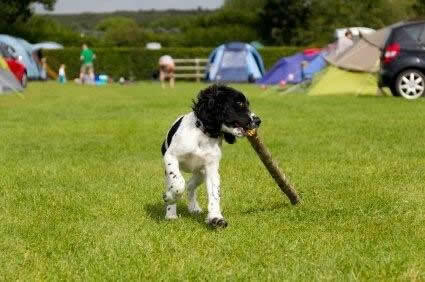 Cotswolds camping activities are the best of both worlds in more ways than one. On one hand, you can be in the middle of the beautiful English countryside so much so that you are in tune with Mother Nature. Camping, after all, requires living with just the basic necessities of life while also relying on many of nature’s bounties. On the other hand, you can still enjoy most of the modern amenities essential for enjoying your camping experience. We are talking about adequate shelter, food and clothing, all of which can be brought to the camping sites of Cotswolds England. With that being said, here are the best Cotswolds camping sites. Most of these sites are open the whole year-round with spring, summer and fall as the best seasons to camp. Located near Cirencester, Mayfield Park is a family-owned 12-acre park suitable for both camping and caravanning. There are a total of 76 pitches to choose from, all of which provide for great views over the Cotswold countryside particularly the Churn Valley. The park has a gently sloping landscape coupled with flat standing pitches. Camping in Mayfield Park is the ideal place to explore the Forest of Dean, the Roman market town of Cirencester itself, and the surrounding Cotswolds countryside. Many campers even use the park as a jump-off point for explorations further afield to Wales. If you are on a countryside tour, then one of the best Cotswolds camping sites is the Croft Farm Waterpark. This is because it is located within a few miles of the Cotswolds, Forest of Dean and Bredon Hill, all of which are ideal places to enjoy the adventures of England’s largest Outstanding Area of Natural Beauty. Other tourist towns within easy reach of Croft Farm are Gloucester, Worcester, Cheltenham and Evesham. Camping at Croft Farm is fun, to say the least. You have water sports activities available including fishing in the River Avon while the kids will enjoy the play area, cycling paths and other amenities. Adults have the sunbed, sauna and gym to stay in shape while camping, modern English style. Also, the camp is equipped with electrical hook-ups, showers and toilets. This is camping without leaving the basic comforts of modern life. If you want a simpler camping experience, we suggest the Far Peak Camping grounds. Yes, there are no electrical hook-ups, shops and playgrounds but the wide open spaces are the best prizes on a camping trip. No matter which of these Cotswolds camping sites you choose, we can assure you of one thing – getting closer to Mother Nature has never been more enjoyable. How often does one hear adults stating that their best holidays when they were growing up were camping holidays.Beauty, freedom and adventure which children and adults love will be found in the Cotswolds View Caravan and Camping Park. The Park features forest and farm trails and farm animals are on view including horses, shetland ponies,sheep, goats, pigs and chickens. An onsite shop,heated toilet blocks, disabled facilities and children’s play areas make it very appealing. Farmhouse Bed and Breakfasts and self catering cottages are available. 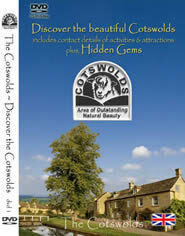 A lovely holiday set in the picturesque Cotswold countryside.